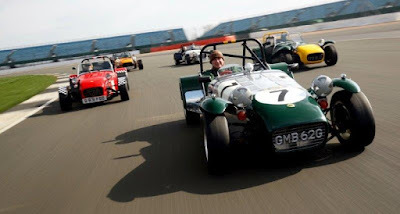 The ageless and iconic Lotus Seven will be out in force at this summer’s Silverstone Classic (28-30 July), celebrating its milestone 60th anniversary with special displays plus a massive track parade on the Saturday. It was back in September 1957 that the very first Seven was delivered to its proud new owner and the small two-seater open-top sportscar has been in continuous production ever since. Only the equally timeless Morgan 4/4 has been around longer. Designed by Lotus founder Colin Chapman, the Seven embodies the legendary ‘simplify, and then add lightness’ philosophy of its ever-innovative creator. 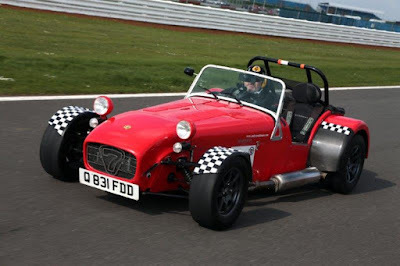 The roadster remained in production at Lotus until 1973 when Caterham Cars acquired the design rights following Chapman’s decision to discontinue production of his original diminutive model. 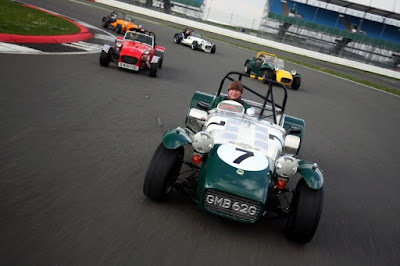 Since then, Caterham has proved itself to be a very worthy custodian. In its loving hands, the second generation Caterham 7 has consistently evolved and improved, continuing to delight enthusiasts around the world with its race car handling and performance. 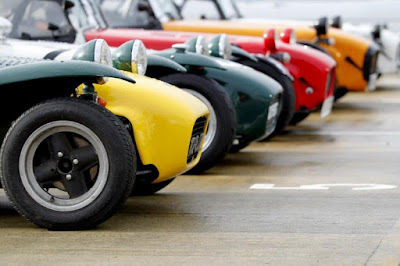 To mark the deity’s diamond anniversary, the Lotus Seven Club is expecting more than a hundred examples from the last 60 years to adorn its special display at this summer’s Silverstone Classic. The busy Lotus Seven Club will be one of many clubs celebrating important motoring milestones at the Silverstone Classic. Other notable automotive anniversaries being honoured this July include 60 years of both the ‘Topolino’ Fiat 500 and Gaz 21, 50 years of the Ferrari Owners Club and AMG Mercedes’ as well as 30 years of the fearsome Ford Sierra RS500. 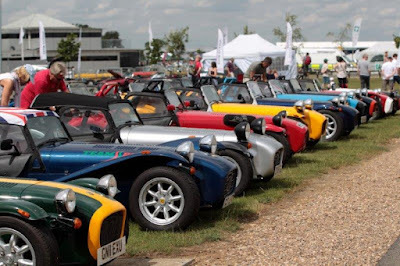 In total, a record number of more than 120 car clubs will be displaying in excess of 10,000 privately owned classic cars on the Silverstone in-field during the three-day 2017 festival, providing visitors with a huge showcase of much-loved motoring history. Those wishing to display their classic right at the heart of the event can still take advantage of great value car club packages if booked before the end of May. Full details can be found at www.silverstoneclassic.com/clubs. Showgoers wishing to experience this unrivalled celebration of motoring through the ages must purchase their tickets in advance. As well as access to all the car club displays, tickets give access to both racing paddocks, trackside grandstand seating, live music concerts on both Friday and Saturday evenings, vintage funfair rides, air shows plus a host of other family-friendly demonstrations, activities and entertainment. Adult admission starts at £43 and weekend camping and hospitality upgrades are available.